An absent Antagonist breaks this film’s storyform. Spoiler alert: The surprise Pixar twist-villain of Ralph Breaks the Internet is that there is no surprise Pixar twist villain. In fact, there isn’t an Antagonist to be found anywhere. Which unfortunately leads to a bland and uninteresting Overall Story Throughline—one beset with mildly amusing set pieces and Internet meme-gags that seem passé before they finish. An Antagonist prevents or avoids the successful resolution of the story’s central problem. This motivation towards reticence is essential to convey within the context of a narrative as it represents a critical driving force in our own lives. Stories are models of our mind’s problem-solving process. Leaving out or skipping parts of this process is something everyone in the Audience will notice. After all, they all have minds. This is why so many people will tell you that Ralph Breaks the Internet was boring. There was no force of antagonism working against the force towards initiative—that of the Protagonist. Without that pushback, the story presents no consequence for failing to reach the Story Goal. No real stakes. And therefore, little to no interest. Sure, Ralph himself works as a kinda-sorta Antagonist about halfway through—but he never fully commits, and with that driving force absent from the other Acts an objective sense of what the story is all about fails to materialize. What makes this absense so unfortunate is the fact that there is a tremendous amount of heart in the film. 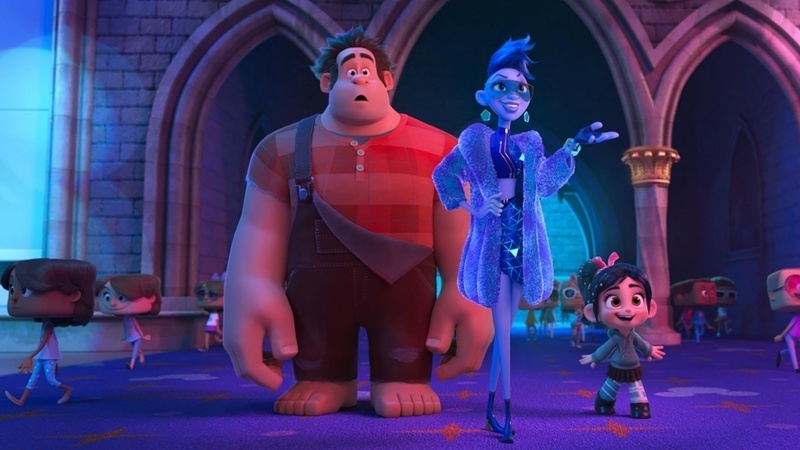 Unlike most recent animated fare that completely ignores the Relationship Story Throughline, Ralph doubles down and delivers a powerful and emotional friendship between its two principal characters. The Relationship Story Throughline acts as a counter-balance to the plot-laden Overall Story Throughline. Focusing on the relationship between the Main Character and Influence Character, this Throughline deals with the story’s central conflict from a “We” perspective—as in, this is our problem. It’s often where one finds the emotional core of a story, and Ralph nails this aspect of narrative. But strangely enough, the identification of Main Character is not nearly as clear. The story starts out firmly in Vanellope’s corner—and we empathize easily with her ennui over Is this all there is to life for me? But then, the film slips into Ralph’s corner, breaking established perspectives and literally glitching the Audience’s perception of the story’s central message. Part of this lies in confusion over the difference between a Protagonist and the Main Character—and the mistaken notion that both must reside in the same player. Ralph is set up to be both the Protagonist and the Changed Influence Character. Vanellope is primed to be the Steadfast Main Character. While their individual resolves play out, their point-of-view to the Audience shifts—confusing the viewer and reducing any significant appreciation of what was being said. Rich Moore, one of the directors behind the film, was my very first boss ever in the animation industry. I loved working for him on The Critic and was blown away and flattered when he asked me to do some drawings for consumer products on the first Wreck-It Ralph movie—so I wanted this one to be great. Unfortunately, I found myself waiting and waiting for the story to kick one—waiting for some solid Antagonism to draw me into the plight of these two—where was the objective point-of-view on insecurity? Without it, the film falls flat. That said, I will be forever grateful for the final scene between Ralph and Vanellope. While the story may be broken, the heartbreaking goodbye when one let’s go so another can grow is all too familiar to me. With one son in college and a daughter just moments away, I know what that sense of insecurity feels like—and I’m grateful to see a way to move through those heart-wrenching moments with understanding and grace. Stories are meant to teach us the very best way to work through the problems in our lives. And while some stories may struggle themselves to communicate their messages effectively, the heart and passion that drives the Author’s intent are sometimes just enough to break through and touch our hearts. Even if it needs to glitch to do so.